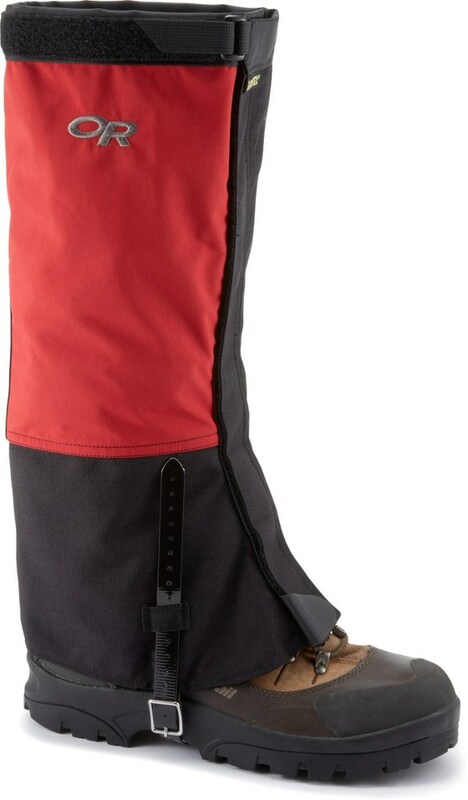 Now a decent pair of calf to knee high gaiters are a must in my book for hiking and hunting. Even in country that is not wet and steep they are the best thing for keeping grass seeds and pebbles out of your socks and boots and helping to keep your feet dry. They also help save your calves from lacerations from vines and grasses. 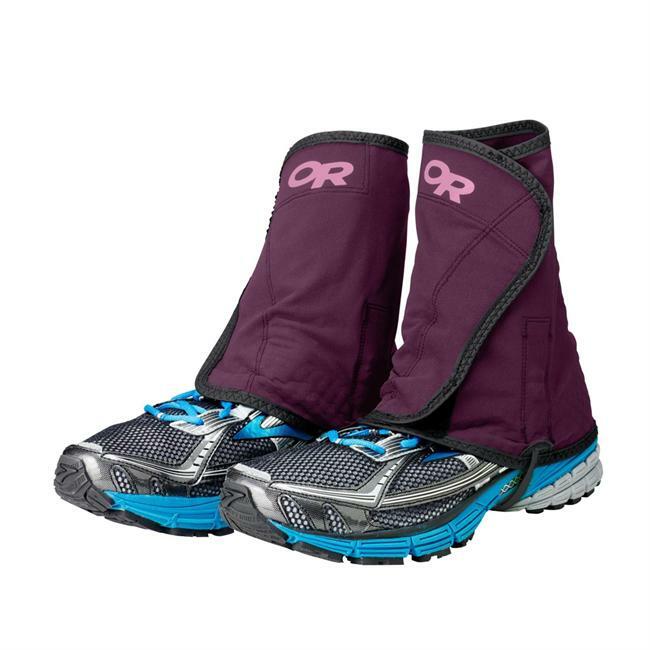 If you wear a pair of shorts combined with the gaiters you end up with only 4-6 inches of skin exposed to the elements and this gives you the maximum mobility and flexibility when hiking steep country. It's amazing how much easier it is to hike wearing shorts instead of long pants. 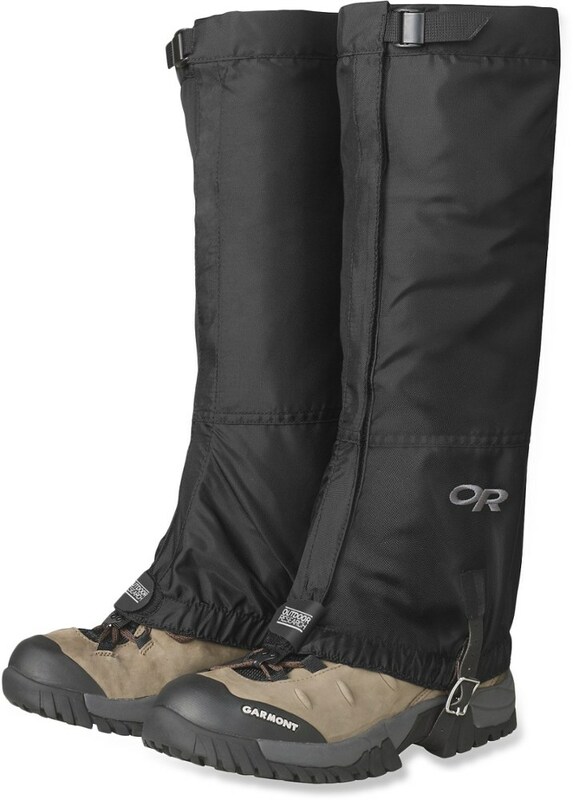 I have had a couple of lesser brands of knee length gaiters, but they have all suffered from the same issues—namely lack of adjustment around the top so they end up working their way down my calf due to the fit being too loose. This is because I am pretty short and slim and they tend to be made in "one size fits all" sizes. The other issue is the strap that goes under the sole of the boot gets warn through in no time and breaks. The Kuiu Gaiters over come both of these issues very well. They have a ton of adjustment at the top so I can do them up nice and tight. 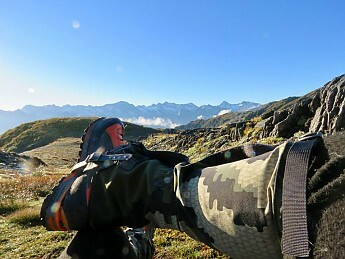 The bottom strap is some kind of durable synthetic plastic material and after 10 days in the Southern Alps are showing no wear at all. 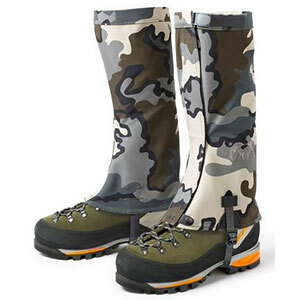 I love the camo patterns and the material of the main body of the gaiter is a waterproof lightweight material (instead of fleece) so your legs don't end up getting too hot. 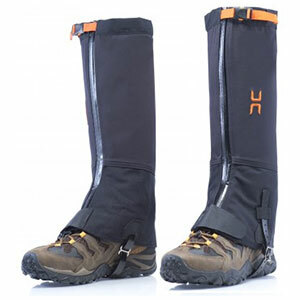 My friends are envious of my Kuiu Yukon Gaiters but they are shocked at the price. I for one think they are worth every penny. Still in great shape after three five-day hunting trips, that is really good going for me. Nice review, Robert! 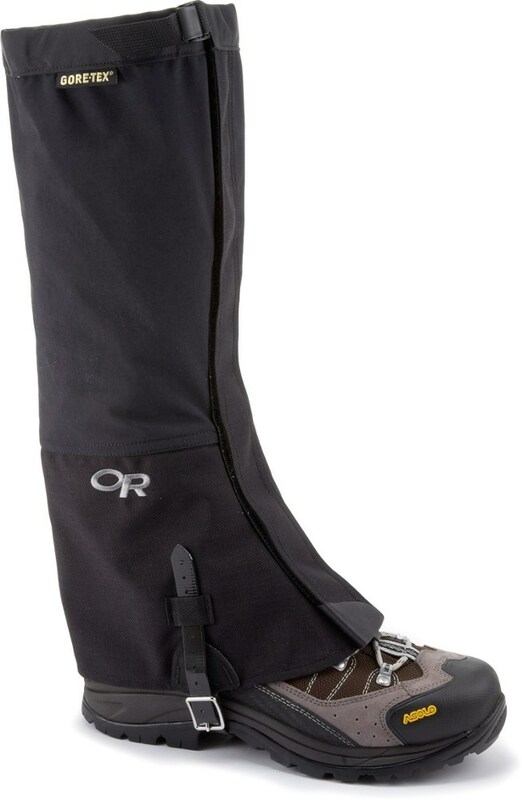 Thanks for recommending these gaiters. 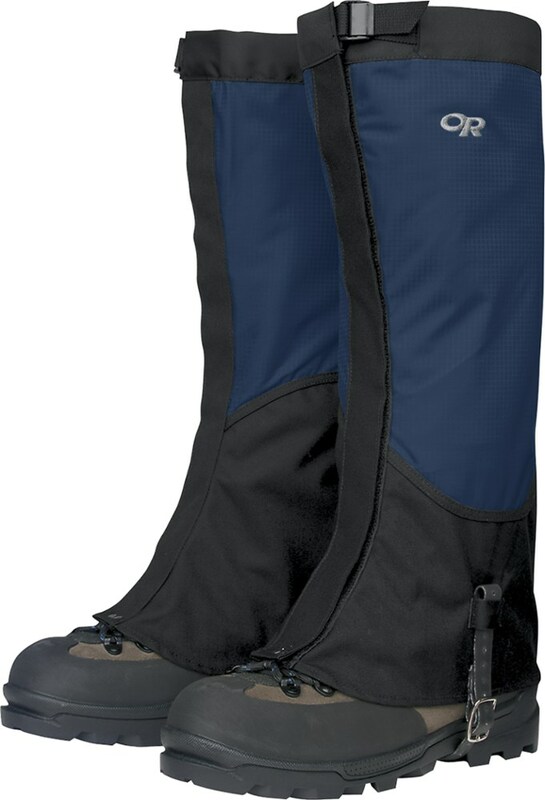 The Kuiu Yukon Gaiters is not available from the stores we monitor.